Dubai: Help is at hand for those developers in Dubai feeling a bit short on cash. A real estate fund — launched by a combination Duet Mena and Invest Bridge Capital — expects to commit $40 million (Dh147 million) on select cash-strapped projects this year. This will be on top of the three investments it has made — on developments in Culture Village, Jumeirah Village Circle and on a private developer promoted project at Jumeirah Golf Estates — since the launch in 2014. “With the way oil prices have behaved in the last two years, we believe there will be a greater need for such realty-facing funds,” said Neeraj Agarwal, Executive Director at Sharjah-headquartered Crescent Enterprises and one of the key investors in Duet Mena. (Crescent Enterprises itself is part of a group that also owns Crescent Petroleum. Crescent Enterprises’ stake in the realty fund has not been revealed.) “Such funds can plug a sizeable gap that exists in the funding cycle. You have a situation where the concerned developer who might have run through his equity funds or those derived from the sale of units. On the other side, banks may not be too keen to pursue real estate development lending since they didn’t have sufficient debt capacity. Since the second-half of last year, several Gulf-based funds have been nosing around potential opportunities to pick up stakes in projects that were in desperate need of funding. At the same time, cash-free private developers have also used the soft market conditions to buy in and thus expand their portfolio. Some of the privately sponsored projects in Culture Village have had this sort of funding come in. A recent one involved Radiant Star on a Dh325 million high-rise project — Riah Towers. Interestingly, for Crescent Enterprises, the real estate exposure is only part of the investment portfolio it is building up cutting across sectors. Via another fund, it has a presence in mid-tier health care operators. Tech-related opportunities outside of the region will also be carried out, through another investment vehicle. “These are all slight diversifications from our core operations — that of being the largest privately-owned container terminal operator in the region and with outside interests too, such as in Florida,” said Agarwal. “Some of the port infrastructure in the US are old and that allows an entry point into that market. And we have the track-record of having survived well in the kind of challenging environment existing in the Middle East. “The second core business for Crescent is in power plant construction, and there is significant growth happening in the region for us to tap. The third area is in business aviation, which is essentially private jet maintenance. “On the investment side, we might have looked at as many as 200 opportunities last year, ranging from $5 million to $200 million. Within this space, real estate has a role, but it will not be the biggest driver of our funding. An ideal opportunity would be one where we go in short-term, say for two years, and then exit with double-digit returns. The Duet-IBC MENA Real Estate Opportunities Fund has to date made three investments. These include a residential building in Culture Village, a high end residential villa development in Jumeirah Golf Estate and another in Jumeirah Village Circle. Duet Mena reportedly has assets under management of $1 billion, including non-real estate ones. 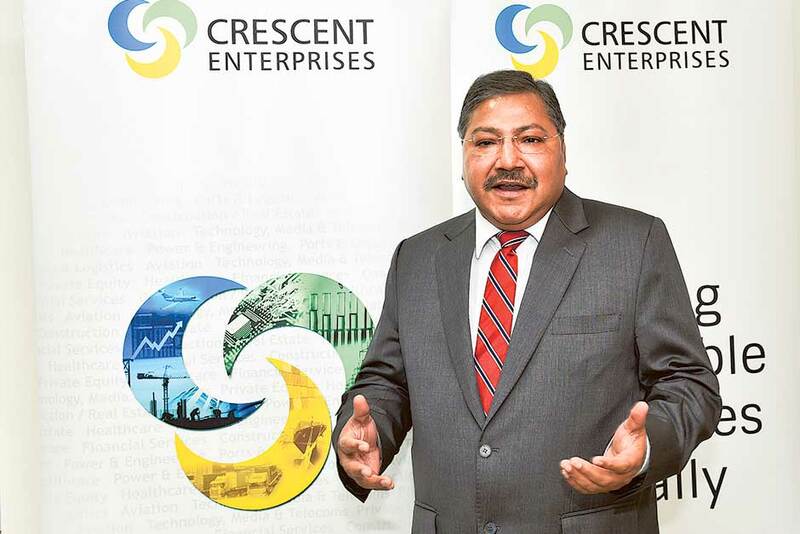 Crescent Enterprises has $1.4 billion in assets, with a compounded annual growth rate of 26 per cent in the last five years.